We have few existing scripts in LoadRunner. Is there a way to convert those scripts to JMeter scripts(JMX files), which requires a little to no amount of re-work(correlation, parameterization, etc)? If it is not that straight-forward, could you please suggest the optimal way for shifting to Jmeter from LoadRunner? The fastest and the easiest way is just recording them. 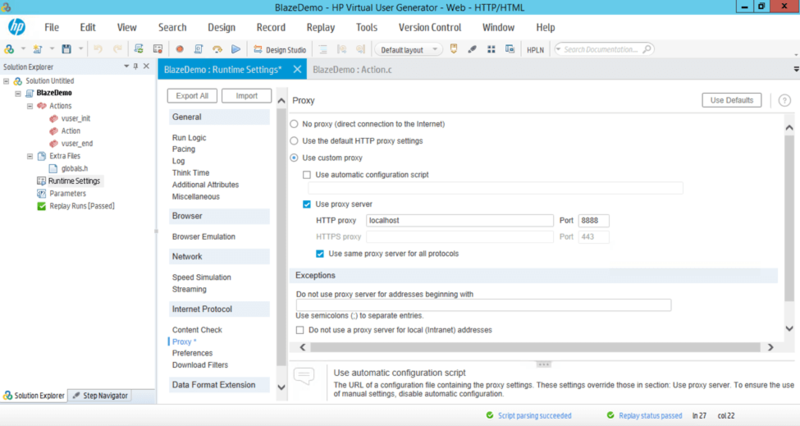 When execution is finished you will have JMeter script "skeleton"
See How to Convert LoadRunner Tests to JMeter article for detailed explanation of above steps. This tool was released lately. 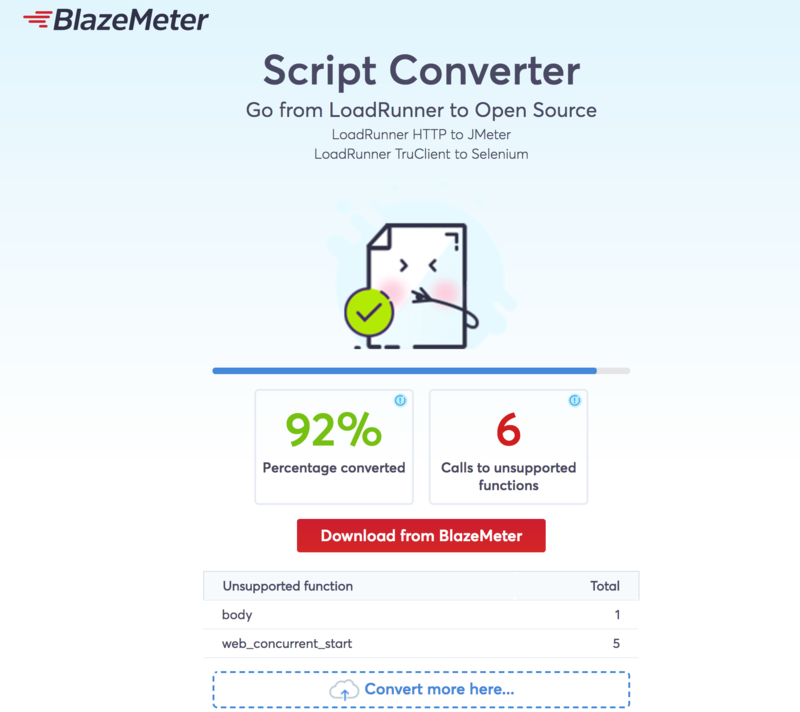 If you upload a ZIP of your LoadRunner script, it will convert it to JMeter or Selenium. It might not be 100%, but it will tell you what it couldn't convert and save you a lot of troubles. Here is my project to convert loadrunner http/html scripts to jmeter. we are working to reduce the manual effort involved in converting the scripts. how to test Android appplication in LoadRunner?